Atthaya Thitikul of Thailand Picture by Paul Lakatos/R&A. The Evian Championship joins the AIG Women’s British Open in offering places to the WAAPchampion. As well as the two major championships, the winner will also receive an invite to the Augusta National Women’s Amateur. The second edition of the premier women’s amateur golf championship of the Asia-Pacific region will be played at The Royal Golf Club in Japan from April 25-28. Defending champion Atthaya Thitikul, from Thailand, enjoyed a stunning year, finishing as the leading amateur in both AIG Women’s British Open and the ANA Inspiration. She was also tied for eighth place at the HSBC Women’s World Championship. The Evian Championship is the fourth of the five majors in women’s golf and will be played from July 25-28 at the picturesque Evian Resort Golf Club in Evian-les-Bains. Announcing the exemption, Franck Riboud, Chairman of The Evian Championship, said: “We are truly honoured to partner with The R&A on this great championship. “The Evian Championship, the R&A and the Asia-Pacific Golf Confederation share the same goals and values related to the emergence of young talents. It is with pleasure that we will award this new Tournament Exemption starting in 2019. The R&A launched the ‘Women in Golf Charter’ last year and is committed to increasing the participation of women and girls in the sport. 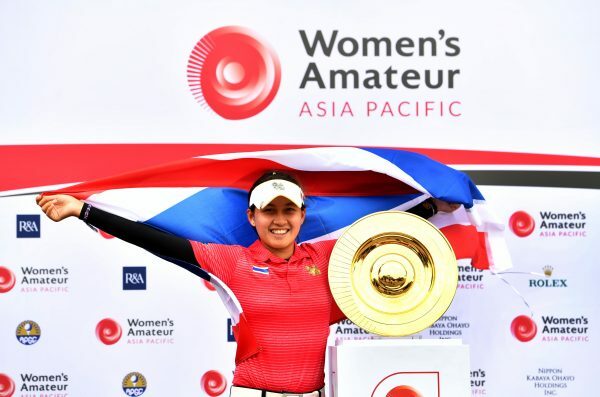 The Women’s Amateur Asia-Pacific is one of several key championships conducted by the governing body and a significant initiative along with the APGC to drive the popularity of women’s golf in the region. Martin Slumbers, Chief Executive of The R&A, added: “A big part of the success of the inaugural Women’s Amateur Asia-Pacific in Singapore last year was the outstanding performance of our 15-year-old champion Atthaya Thitikul not only in Sentosa, but in the other prestigious championships she played as well. Kei Muratsu, Chairman of the Asia-Pacific Golf Confederation, said: “Over the last few years, we have seen how dominant women from our region have become. Since October 27, 2014, the world No1 as per the Rolex Rankings has always been from an Asia-Pacific country. “So far, that has been restricted to countries like Korea, Thailand, New Zealand, China and Japan. We have plenty of talent in the other 37 APGC countries and events like the Women’s Amateur AsiaPacific is the perfect launching pad for them. Invitations to players will be sent out next week. 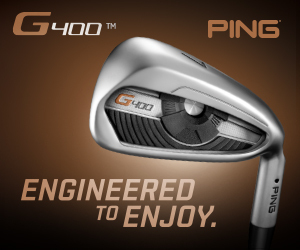 The championship will have a field of 90 players with a maximum of six players from each of the APGC member countries. In addition, hosts Japan will get two extra spots. Currently, there are 25 players from Asia-Pacific ranked in the World Amateur Golf Ranking Top-100, with Thailand’s Paphangkorn Tavatanakit the highest ranked at No3. Kabaya Ohayo Group and Rolex are the championship’s principal sponsors. IMG will assist with championship staging and TV broadcasting.